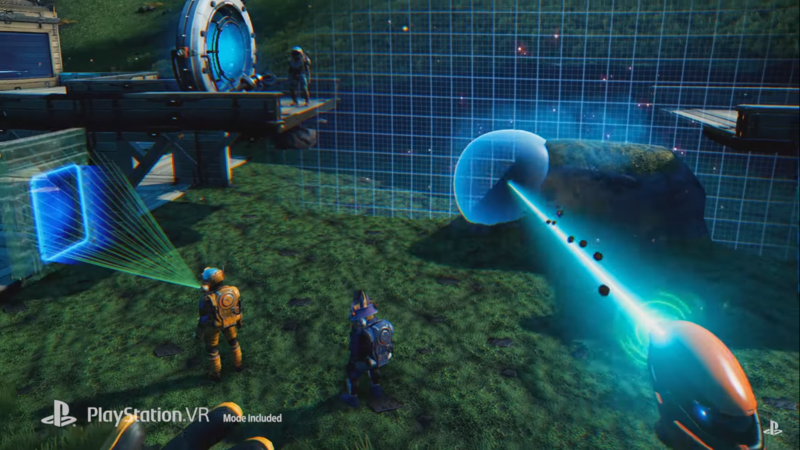 During PlayStation’s State of Play event today, it was announced that No Man’s Sky is getting PSVR support later this year with the arrival of a new update titled “Beyond.” Little is known about what this update will contain outside of online and No Mans Sky VR, but we now have official confirmation for one of the things coming with this update in Summer of 2019. No Man’s Sky fans have been requesting PSVR support for quite some time. Stay tuned for further announcements regarding the addition of VR into the console version of No Man’s Sky. Are you excited to see PlayStation VR support finally make its way to No Man’s Sky? Let us know in the comments below what you think of No Mans Sky VR! The virtual reality platform seems like the perfect place for No Man’s Sky, especially when many people had previously speculated that it might have been a PSVR launch title years ago.